According to a study that was conducted recently, when a young person drinks with a large group of friends, he is much more likely to increase alcohol consumption. In fact, the study finds that there’s a direct correlation between the number of drinks that you consume and the number of friends that you’re drinking with. This is where a DUI law firm can help. The study focused on 200 young drinkers, and the researchers asked the subjects to report to them by smart phone the number of friends present in their drinking circle and the number of drinks that they consumed. They found that when there was an increase in the number of friends who were drinking, there was also a corresponding increase in the number of drinks that the individual participants consumed every hour. The reason for higher consumption of alcohol when you are in a group is linked to the fact that peer pressure is a major factor in DUI and alcohol-related practices among young drinkers. The researchers believe that these are findings that can be used to help reduce the risk of drinking and driving and other dangerous drinking-related practices, especially among young drinkers. 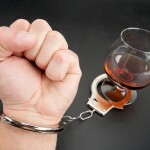 A DUI arrest can have serious consequences for you. You can have your license suspended, and may be ordered to undergo an alcohol education program. 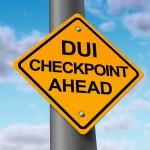 Consult with a DUI lawyer in Leadville after an arrest. Add to this court fees, penalties and fines, and you will find that a DUI arrest can be very expensive indeed. 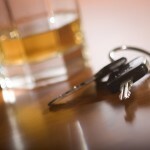 If you have been arrested for DUI, speak with a DUI lawyer in Leadville.